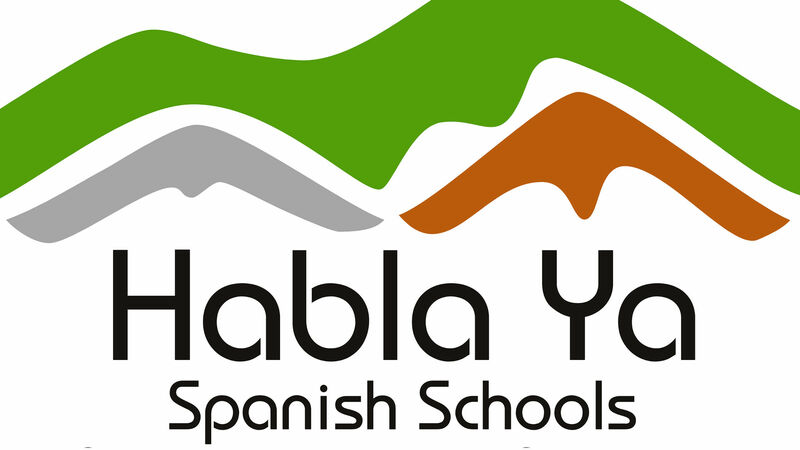 Habla Ya is Panama's premier network of Spanish schools with campuses in Boquete (Pacific mountains), Bocas del Toro (Caribbean beaches) and in Panama City. With Habla Ya you'll not only learn Spanish and meet people from all over the world: you'll LIVE a once in a lifetime experience taking back home unforgettable memories of one of the most incredible language travel vacations that you could have ever imagined! Featured in the BBC Travel Show, The New York Times, The Study Travel Magazine, all major guide books from The Lonely Planet and Frommer's to Moon Travel, as well as numerous travel blogs, Habla Ya has been rated in the past decade by thousands of students, with a perfect 5 star score more times than any other network of Spanish schools in Latin America. Habla Ya Spanish Schools in Boquete, a town famous amongst outdoor enthusiasts in Panama's western mountains, and Bocas del Toro, Panama's top beach town in the Caribbean, are part of the select group of accredited Spanish schools in Latin America by the Instituto Cervantes, the worldwide authority for teaching Spanish as a foreign language. Habla Ya Panama City is also in the heart of its location, and is an Official DELE Examination Center as are Habla Ya Boquete and Habla Ya Bocas del Toro. 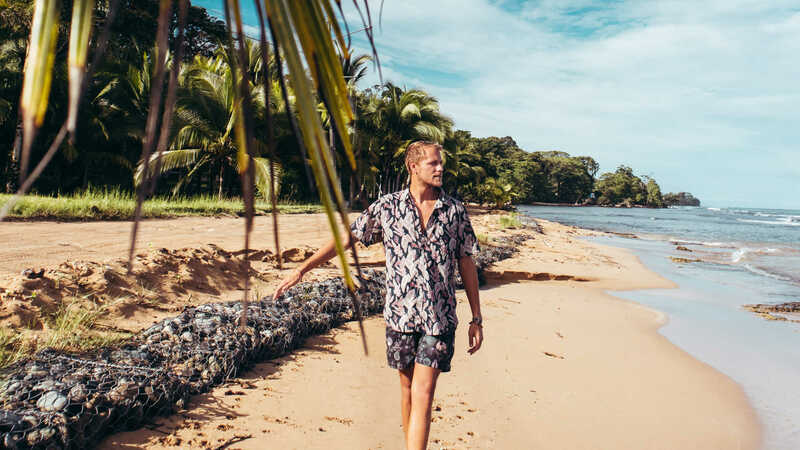 TRAVELING CLASSROOM: Boquete and Bocas del Toro are so close to each other (less than a 4 hour commute), allowing you to perfectly study Spanish at both locations before or after your Spanish program in Panama City. You'll usually enter or leave the country through Panama City so that is where your program should end or start. How much time at each location? It's really up to you, depending on what you love more: the beach, the mountains or the city. But if you can, you really should give each a go as each destination will give you a very different flavor of Panama. Learn Spanish in 3 dream setting locations, full of friendly faces and exciting adventures. AND if you're also into making the world a better place, we can learn from each other, and do some community work together. DELE Exam Preparation Course for all levels offered through private lessons or as add on to group lessons. Our 3 schools in Panama are Official DELE Examination Centers. The amount of hours you'll end up purchasing is the exact amount of hours that you'll need to prepare for your DELE Test and get your DELE Diploma. The cost is the same as for private lessons, from $14.50 to $25 USD per hour. Medical Spanish, Legal Spanish, Spanish for Business, Spanish for Teachers, etc. I wanted to take a few minutes to compose a review of my experience in Boquete Panama and in particular, speak about Habla Ya, a world class Spanish immersion school that I keep returning to there. Firstly, I’m a 63 year old Canadian and have lived in the U.S. for the last 28 years. During my formative years in Canada I had little interest in learning a second language and regrettably, while French was an option in the Canadian curriculum, taking it was not mandatory. After my relocation to the U.S. in 1991, I soon learned what a benefit it would be to learn another language. As almost half of the population of Phoenix and San Diego where I divide my time, are Spanish speaking, Spanish had to be my defacto choice. Unfortunately, as an entrepreneur, my 30’s, 40’s and 50’s were dedicated to building my businesses and this left little time for anything, much less learning a second language. Secretly, during these 3 decades, I had a burning desire to learn the language and during the many trips my wife and I had taken to Mexico, I watched, listened and envied every non-native communicating in Spanish. Now, fortunately I have an abundance of time and have diligently spent the last 3 years learning the language poco a poco! We’ve all heard metaphor, “slow and steady wins the race” and this is no more applicable than undertaking the exercise of learning another language. I’m completely dedicated and though I may be a little slower than the 20 somethings, I will achieve a level of mastery over this language. I can tell anyone who may be contemplating learning another language, the decision is not to be taken lightly. It’s grueling, frustrating and time consuming! So, why do it? Learning the language is no different than building blocks; you simply keep building on that which you’ve already learned. I’m by no means proficient but there’s very little that I can’t communicate to someone in a Spanish only speaking country. And this folks, is what keeps me going! Now, to the school. I just completed my third trip to Habla Ya in Panama and each time keeps getting better. The first 3-week segment was in Bocas Del Toro, a quaint little beach town frequented by young and old from all over the world. The last 2 visits were to Boquete, a location I prefer due to its’ cooler climate, beautiful scenery and incredibly reasonable prices. Leidys was my profesora for levels A2 & B1 in Boquete. Leidys has been with the school for 10-years and I’ve found her to be excellent in her ability to teach new concepts and patient enough when certain concepts need to be re-explained. I’d recommend her highly! The school is completely professional in every respect and there’s little wonder in my mind as to why they’ve earned their very favorable ratings year after year. From trying to accommodate the smallest request to meticulously organizing fun outings for the students, these people do it all! YOU - QUIT PROCRASTINATING AND START LEARNING! I completed a month of private lessons with Iraida. I had previously had two years of Spanish classes in highschool, but that was 10 years ago. Iraida was great at being flexible for what I needed to learn. I had some gaps in my knowledge and while she was always well prepared for the day's lesson, she was able to change topics on the fly when I needed more help in certain areas. I can tell I am way more comfortable with my Spanish thanks to the lessons. When I first came down here, I could order food and ask where the bathroom is. Now I can talk about things in the past, like telling stories or asking people more complex questions. The school also was very welcoming, and they have daily activities that any of the students can participate in. Bocas is beautiful. We just had one week private Spanish lessons with Leidys and it was really great! Me and my boyfriend are having different Spanish levels and she managed that perfectly. She explained everything in Spanish though we could follow even with limited Spanish knowledge. She was a very helpful, enthusiastic and motivating teacher and we really had fun learning Spanish with her. The course was organized really good and we got great learning materials. In general the whole organization of Habla Ya was really great. Futhermore we enjoyed being in Boquete, as it is a very beautiful little town with an amazing landscape! I started my time at Habla Ya with knowing almost no spanish and by the time I left four month later I was able to have conversations in spanish. Im really thankful for my time in Bocas del Toro, the environment is wonderful, the people are friendly and I love the culture and the ”no stress”-vibe. I’m especially grateful for my teacher Iraida Howard who is a great teacher with a lot of patience (which is helpful when you struggle with verbs, conjugations and thousands of palabras ;)), she’s also responsive to what you might need extra support with and her positivity and humor make the lessons fun and educational. Muchas gracias por todo Habla Ya y mi profesora Iraida. Extraño Panama ya! Espero que pueda volver algún dia!